Robert Avant simply refuses to let things be. He fights injustice wherever he sees it. 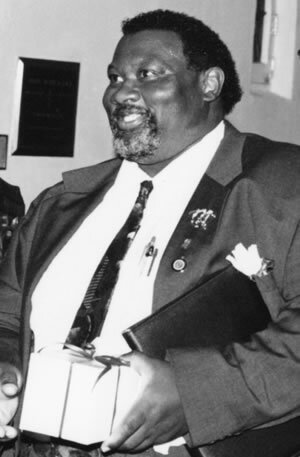 Born the son of a sharecropper outside of Crenshaw, Mississippi, and raised during the most violent period of segregation, Robert Avant has turned his talents and passions to expanding the economic and political opportunities for some of the area’s poorest and most disenfranchised citizens. Following a recipe of community activism combined with government support, Robert has been lifting up the lives and hopes of the people of Panola County for more than three decades. Robert made history in 1988 when he joined the Panola County, Mississippi Board of Supervisors and became the first African American in modern times to be elected in that area of the state. Since 1996, he has been elected and served as President of the Board of Supervisors. Robert also is the Executive Director of the North Panola Community Resource Development Corporation, a non-profit community-based organization he founded three years ago. Over the years, Robert’s sheer tenacity and willingness to go the extra mile helped convince the federal government to award his community millions of dollars in grants and tax credits. Those same qualities also persuaded local citizens that their grassroots efforts would pay off down the road. After five years of painstaking work and patience, in 1996 Robert gained federal funding for the county to build low-income housing. To date, that grant has enabled 20 low-income families to move from dirt floor shanties into clean, modern homes, using “sweat equity.” Some of that sweat was Robert’s, as he often delivers the pre-packaged building materials to the new site in his truck, then helps families to unload and construct the new home. In 1993, he led a 6-month community-based effort to obtain the Enterprise Community designation, bringing with it $22 million in investments to three counties over a period of ten years. He continues to chair the North Delta Enterprise Community Board. Robert takes particular pride in having gained another federal grant to bring public water to nearly 300 families, some of whom had never had running water in their homes. As one USDA department head noted “He keeps coming at you, lays the ground for the grants, and makes the case.” Robert was appointed by President Clinton to be on the President’s Water 2000 Board. Robert Avant has been happily married for 30 years to his wife Vernice. They are the proud parents of Robert Jr., Issac Lanier, and Albert Hosea Jerriod.